Every year at Country Acres CDC, we love educating our kids about the history and diversity of Holidays. 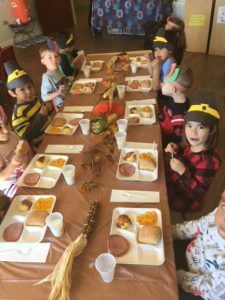 At Thanksgiving, we hold our annual Friendship Dinner for the Preschool. 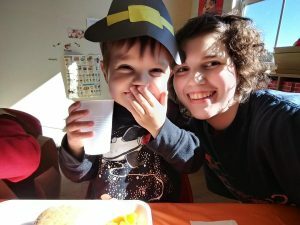 Our kids get to dress up like Pilgrims and Indians and learn about the first Thanksgiving. They also get to bring ingredients and cook Friendship Stew together. At the Friendship Dinner they get to hear about the first Thanksgiving and eat the Friendship Stew that they have created together. Here are some pictures of the Friendship dinner.